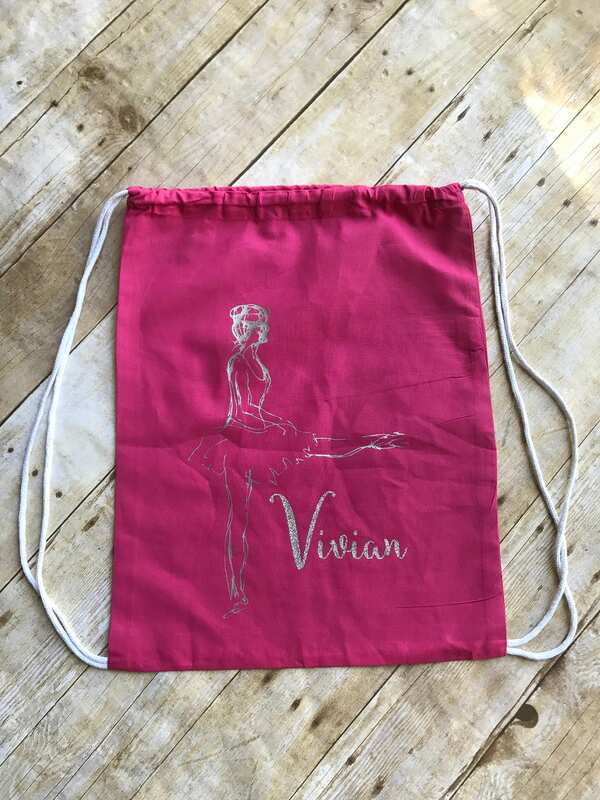 Girls Dance Bag. 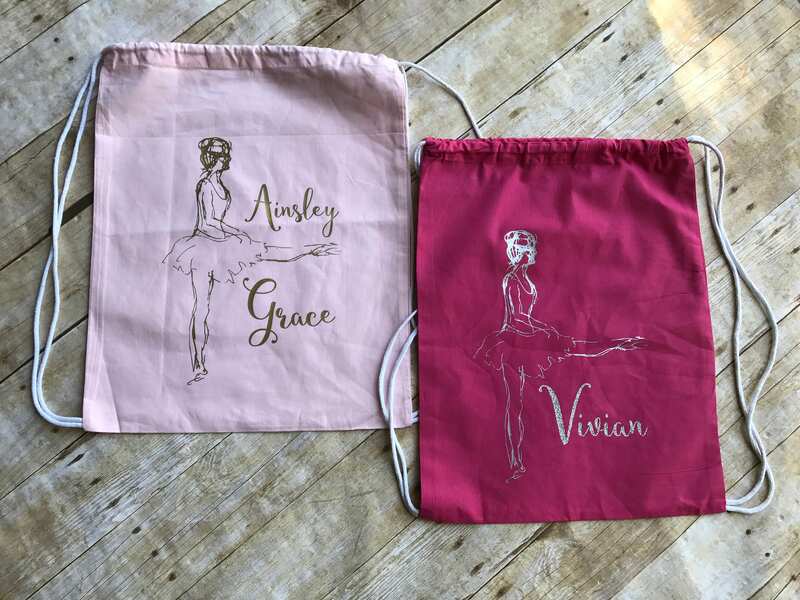 Personalized Ballet Bag. 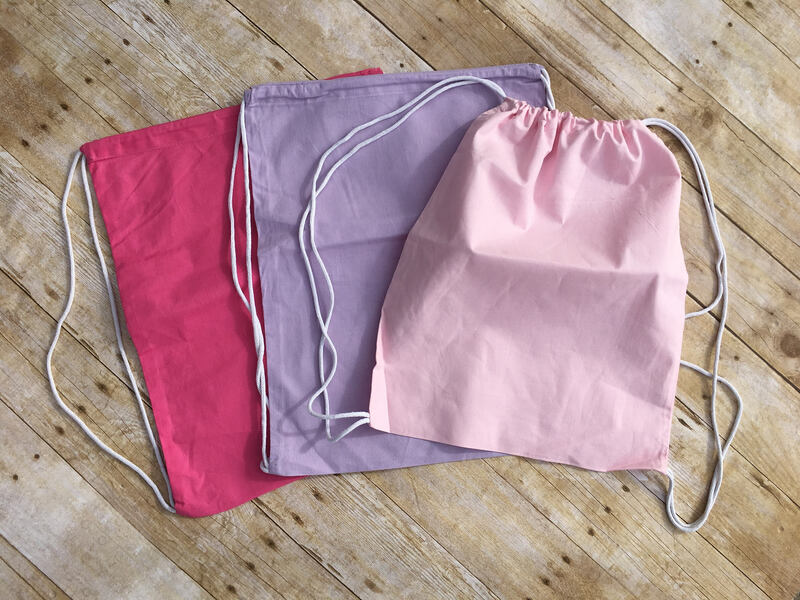 Drawstring backpack. 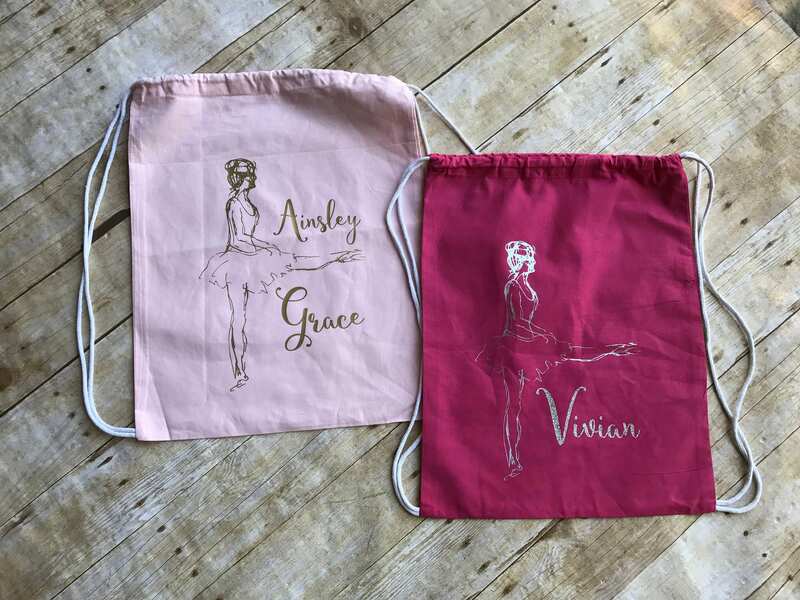 Ballet bag. 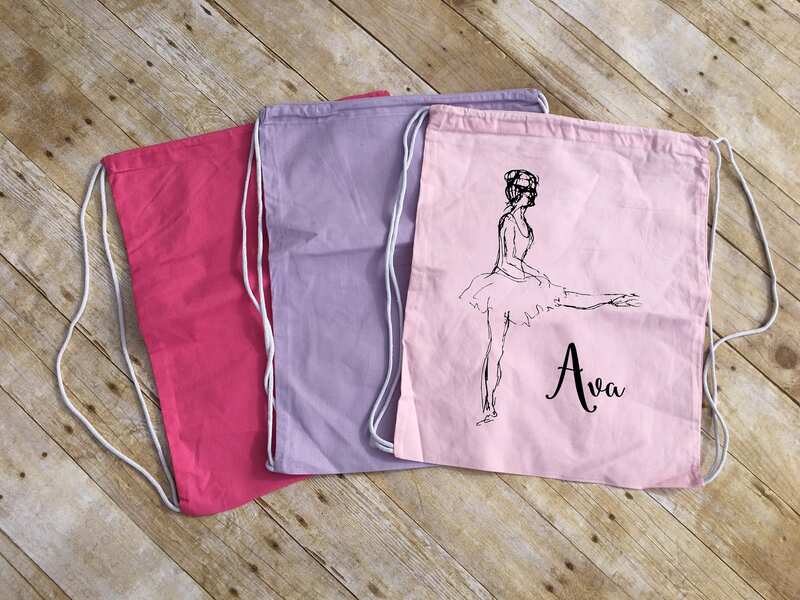 2. location of name: above or below ballerina's leg. 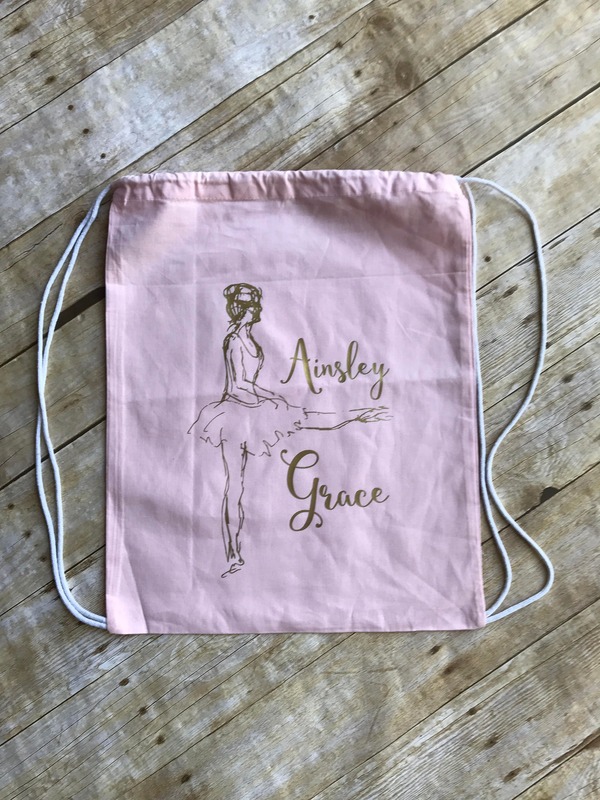 I absolutely love my June Reese's drawstring dance bag! She is turning three and starts dance this summer. Great fabric choices and quality! And wow are you fast! Thanks so much!